Business Secretary Sajid Javid says he will hold a meeting this week with business leaders following the UK's vote to leave the European Union. 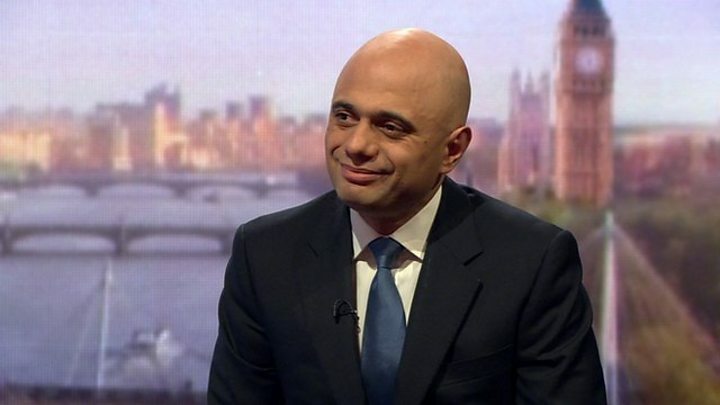 Mr Javid told the BBC his message to businesses was "there's no need to be panicking". The UK's economic fundamentals are strong enough to weather any short-term market volatility, he said. He added that the UK should not rush into talks with the EU about its withdrawal from the bloc. Foreign Secretary Philip Hammond, meanwhile, said it would be "catastrophic" if the UK lost its access to Europe's single market. Mr Javid will hold the roundtable meeting with businesses on Tuesday, a spokesman for the Business Department said. Among the two dozen business leaders attending will be the heads of the British Chambers of Commerce, CBI and the Federation of Small Businesses. "Now it's a time for reassurance for business, and my message to them ever since Friday morning is there's no need to be panicking at all," he told the BBC's Andrew Marr programme. "We have to have a calm approach, which is what we've seen since then," added Mr Javid, who backed a Remain vote. Pushed on when the UK should start the process of leaving the EU, Mr Javid said the UK does not need to immediately trigger Article 50, which sets a two-year deadline for a deal. In a separate interview, Mr Hammond said there would have to be a "trade-off" between migration and access to the single market. It is essential the UK protects its access to the single market, and to lose it would be "catastrophic", the foreign secretary told ITV's Peston on Sunday. London's big finance firms are looking at plans to move thousands of staff abroad if Britain leaves the single market. The single market allows many businesses to trade without tariffs in the EU. Mr Javid was also pushed on his predictions during the referendum campaign that half a million jobs would be lost due to a Leave vote. "I lost the argument, but we all come together to make this work for the country," he said. Asked whether George Osborne, another Remain supporter, had plans to resign as Chancellor of the Exchequer, Mr Javid said the chancellor had been "getting on with his job" since the vote. Mr Javid, a close ally of Mr Osborne, declined to comment on whether there would be an emergency budget.